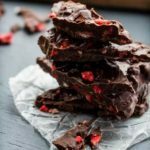 This Low Carb Strawberry Chocolate Bark is a wonderful treat! 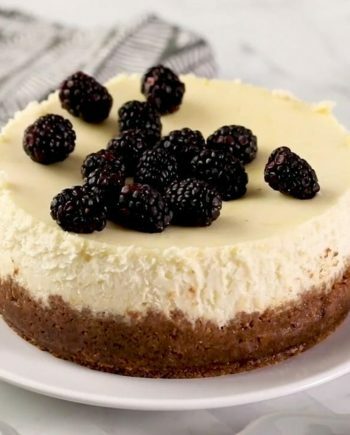 It's easy to make with just 6 ingredients. Break chocolate into pieces and place in a microwave safe bowl. Microwave in 30 second increments, stirring each time until melted. Once there are a few small unmelted pieces left in the chocolate, stop microwaving and just mix until it is completely melted. Stir in slivered almonds and unsweetened coconut flakes. Spread into a thin layer about ¼” thick. Sprinkle with chia seeds, pistachios, more coconut flakes and freeze dried strawberries. Freeze until firm and break into 12 pieces. Mini Peanut Butter Chocolate Layer Cakes – To Die For!